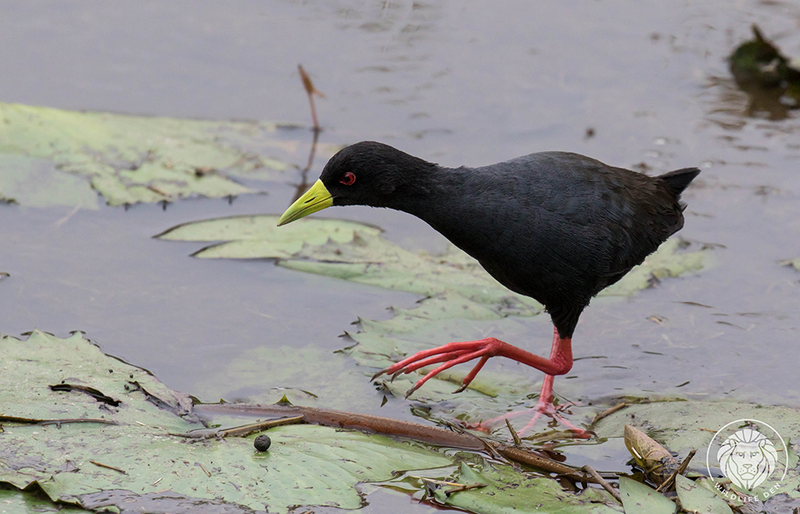 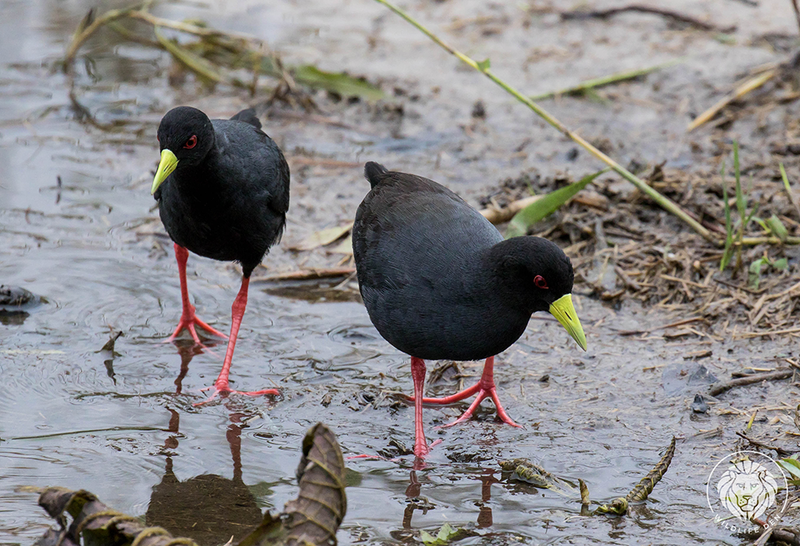 The Black Crake (Afrikaans name Swartriethaan and Zulu name umJekejeke) it is easily recognised by its bright, lunimous yellow beak, with red legs and eyes. 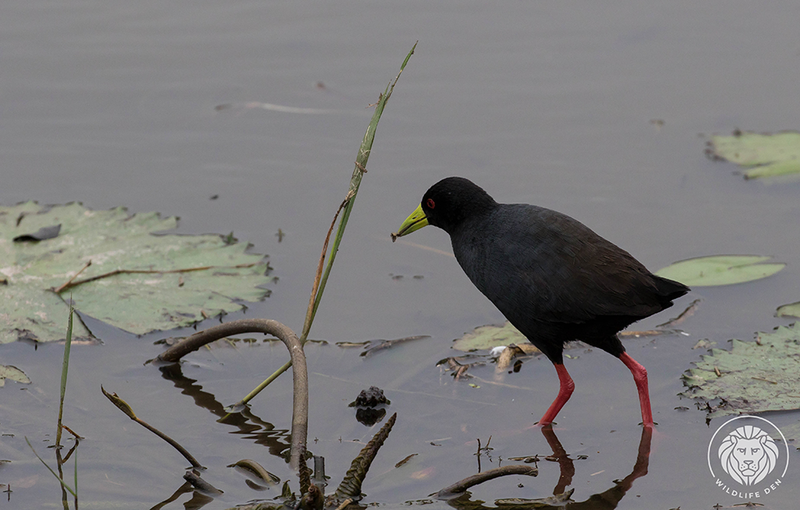 It is a shy bird, dashing out into the open, in the early mornings and late afternoon to feed on various insects, small fish and crustaceans. 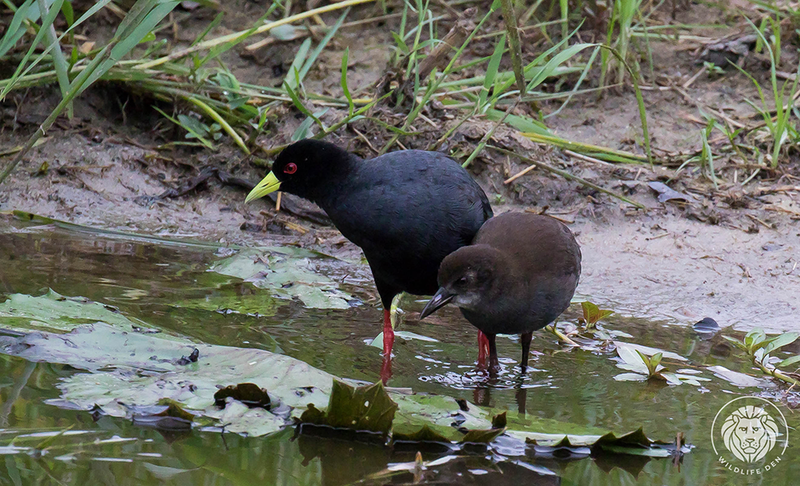 The male and female are alike but the juvenile is a brownish colour without the yellow beak and red eyes.